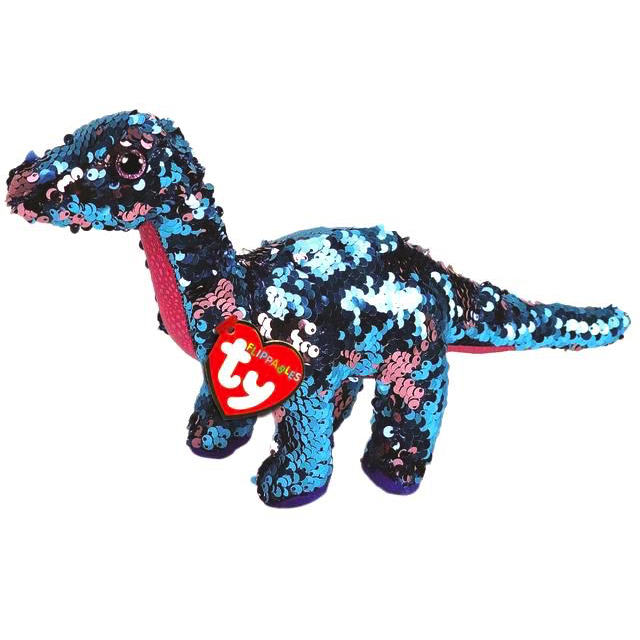 Tremor is covered with flippable sequins that alternate between blue and pink when you run your hands over them. She has glittery pink button eyes and a pink belly covered in a scale pattern. She has a long neck and long tail. Tremor was released in June 2018. Her Birthday is on 5th September. Tremor was one of the original three Flippables, the other two being Crunch and Stompy. They are covered in reversible sequins that change colour when you run your hands over them. This is the medium 9″ Flippable version of Tremor. She was also released as a small 6″ Flippable.